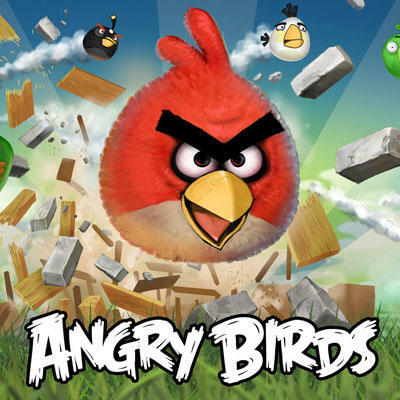 Angry Birds Developer Calls Console Games "$49 Pieces of Plastic"
The head of Rovio (makers of Angry Birds), Peter Vesterbacka, is making more news this week for his call-out style challenges tossed in the console gaming industry's direction. The developer made waves in the middle of this March when he suggested that console gaming was dying, and now he's further supported his argument by calling console games in general "$49 pieces of plastic." Vesterbacka was defending his position and the status of the mobile gaming industry from criticism on the part of Nintendo, another company equally invested in the casual marketplace. Nintendo executives cited the mobile gaming platform for being home to way too much inexpensive shovel-ware. While they're position may have been one of marginal hypocrasy, Nintendo was largely correct in stating that the average quality of mobile games is low. Surf the App Store in any place other than the Top 25 list and you'll find absolutely abysmal examples of mobile development. Vesterbacka argument was, nevertheless, obviously heated. This is what he had to say in an interview with MCV. A lot of people in the games industry, they think the 'real' games are on consoles. You're only a 'real' games company if you do a big budget game. But we don't have that inferiority complex…If I was trying to sell a $49 piece of plastic to people then yes, I'd be worried too…But I think it's a good sign that people are concerned — because from my point of view we're doing something right. There appears to be a lot of venom hidden in his words. While his defense may be a bit too defensive, it isn't entirely off the mark either. The games industry at large should recognize quality game development companies for what they are, regardless of which platforms they release on. And, what's more, Nintendo's never cited Rovio specifically when they talk about the terrible developers working in the mobile space. Vesterbacka seems to be overzealously defending his platform. I know that I, personally, have a slight bias in this discussion. I've been a console and handheld gamer my entire life. Part of me wants to support Vesterbacka in his stance against the big guys, but the other part of me honestly feels that mobile gaming will never catch up to the quality offered on consoles. I've said this on TechnoBuffalo before, I consider the two spaces entirely different from one another. Is Vesterbacka right? Are console manufacturers and publishers charging way too much for pieces of plastic?